Spring flowers spread delicious scents. Perfumers are delighted to make use of them. As a florist you also have the finest natural scents at your disposal. How about freesia, tuberose and lily-of-the-valley? Three fabulous flowers with fragrance power! Yellow, pink, orange, red, lilac, purple and multicoloured: the freesia – available all year round – guarantees radiant colours. Yet a quarter of the flowers supplied to the auction houses are radiant white. The freesia’s comb shape looks excellent in a cheerful informal bouquet. 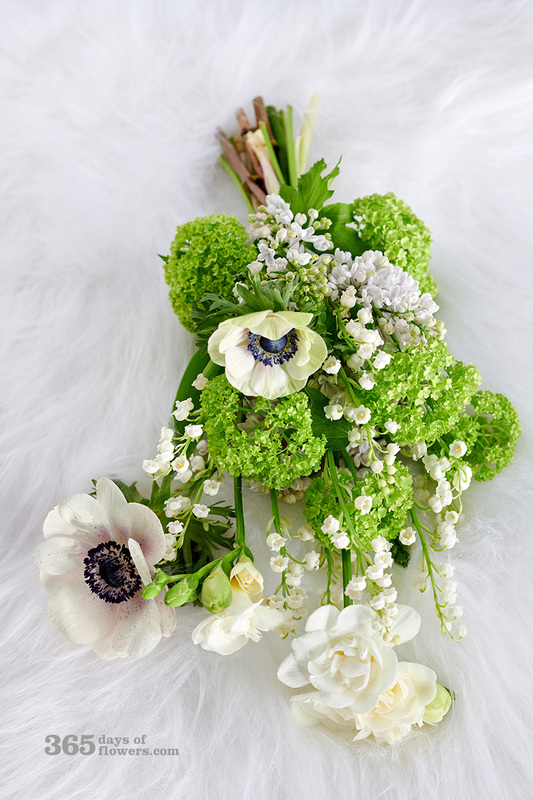 Another reason for adding freesias to your bouquet: the flowers spread a beautiful fragrance. Sweet, spicy or citrusy. Cultivation of freesias in the Dutch Westland region dates from around 1925. A few growers started cultivating Freesia refracta alba, which came to Europe in 1878. 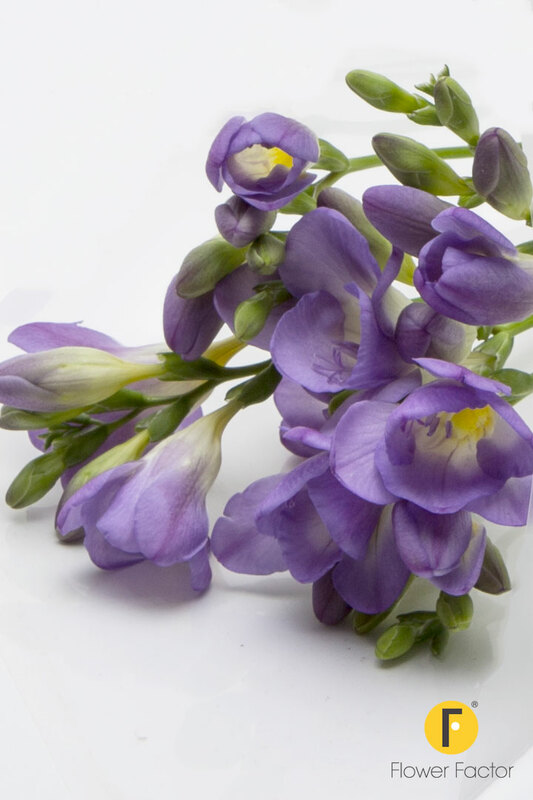 Place freesias in clean water with cut flower food (cut flower food for bulb flowers is also an option). In nature lily-of-the-valley (Convallaria majalis) blooms in the spring. In the Netherlands there is a nursery that specialises in forcing lilies-of-the-valley all year round. The base material (the ‘flower seedlings’) is thereby stored at a temperature just below freezing. A new batch is defrosted every week and brought to a dark, warm space which causes the leaves and flowers to begin growing. When they’re big enough they’re moved to a light space where the yellow leaves turn spring green. The lilies-of-the-valley are bunched with the roots still attached. Lily-of-the-valley spreads a beautiful fragrance that reminds you of clearing in the woods on a sun-drenched spring day. The adorable flower symbolises spring, love and happiness. The flower has traditionally been used a lot in bridal bouquets. Lily-of-the-valley is available all year around. In France and (parts of) Belgium the tradition is to give a bunch of lilies-of-the-valley to someone you love on 1 May. That’s a great tradition to adopt. Display the lilies-of-the-valley with their roots – it makes a great show! Of course you can also cut them off. You should then place the flowers in clean water; possibly add cut flower food for bulb flowers. 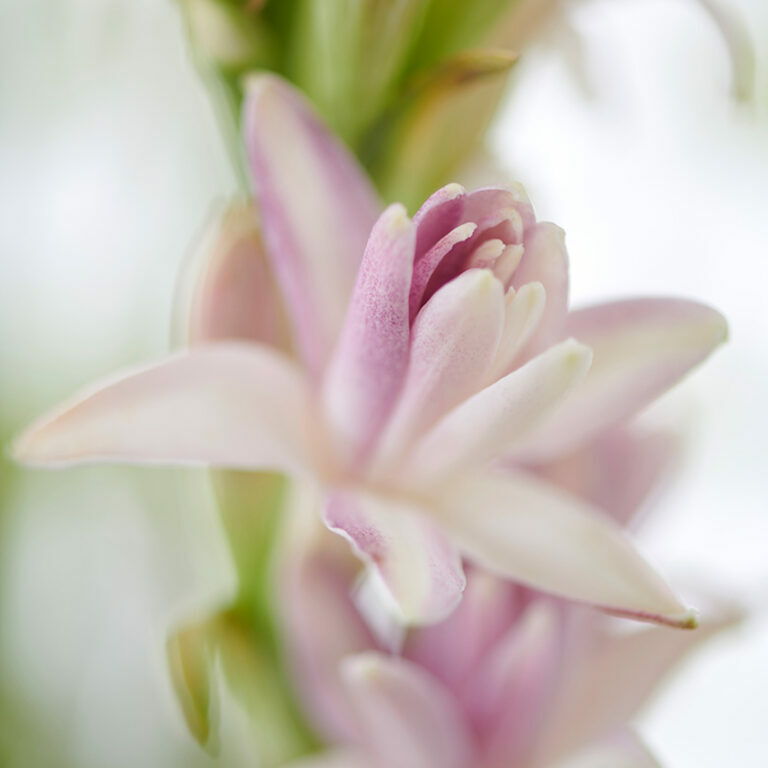 Tuberose (Polyanthes tuberosa) is a white to pale pink plume-shaped flower. It’s an eye-catching bulb flower that particularly thrives in warmer climates. Tuberoses are therefore grown in Africa and Israel. Royal FloraHolland has 20 suppliers of this flower (the supply is year-round). The flowers were traditionally also grown specially in order to extract fragrance. It is said that the scent of the tuberose was very popular at the French court of the Sun King Louis XIV. The flowers were used in bouquets and in (hair) corsages. The scent of tuberose is unmistakable: very intense, floral and seductive, sometimes even described as licentious. For some people this flower is therefore a bit too much of a good thing, whilst others adore it. The flower is also used in bridal bouquets, but the strong perfume means it’s only suitable for brave brides! 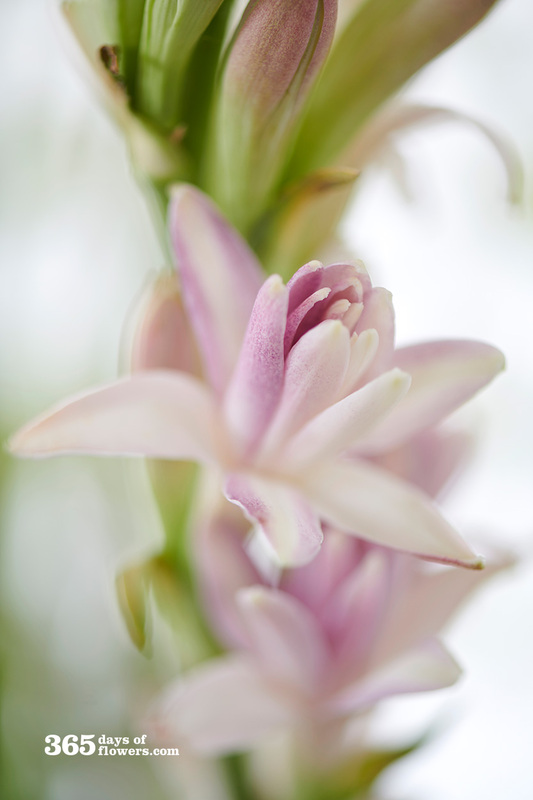 Tuberose’s fragrance is currently a real hit in the world of perfume. Use clean water with cut flower food or special cut flower food for bulb flowers.